When my younger brother, dad, and I visited Paris several years ago, my brother and I were lazing around the hotel room and watching French tv. We happened upon what we would call SpongeBob Squarepants. We were delighted to learn that his French name is Bob L'eponge (Bob the Sponge). Doesn't that sound fancy yet descriptive at the same time? I just learned his German name. 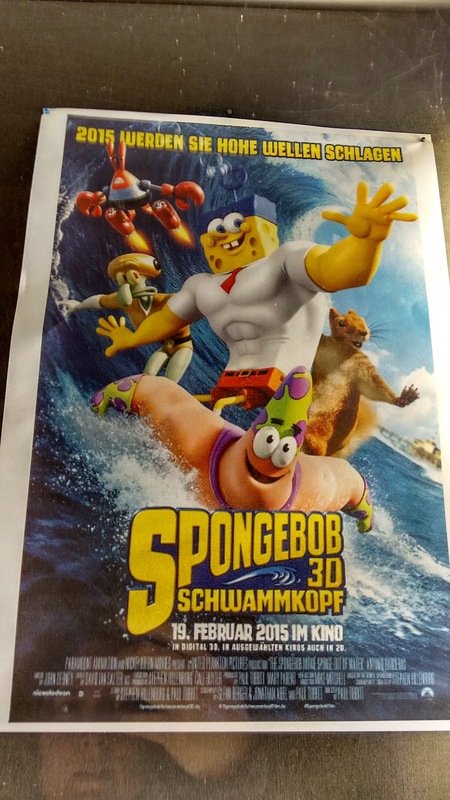 Leave it to the Germans to come up with a name that sounds vaguely threatening or like a disease: Schwammkopf (Spongehead).